A pilot of a commercial airliner made a mistake that PROVES the existence of CHEMTRAILS by forgetting to turn them off before he landed! We have video of the plane landing while still spraying CHEMTRAILS as it hits the runway. 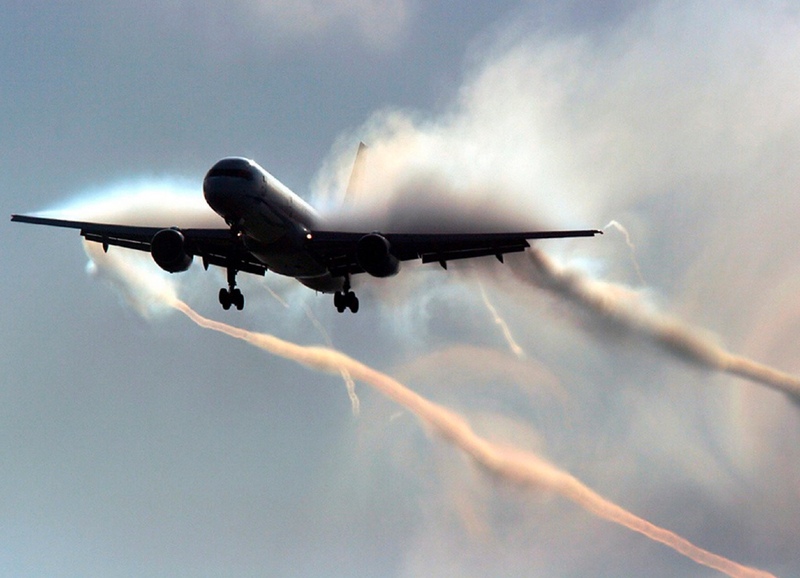 This is the first empirical evidence to back-up claims made people, smeared as conspiracy-theorists, who claimed airlines are being used by government to spray aerosols into the air without the knowledge or consent of the people being sprayed. With proof like this, the public now has legal standing to file lawsuits, utilize subpoenas and force discovery of evidence. The 1 minute blockbuster video appears below. Despite the fact that the plane is landing in foggy weather, the emission of chemtrails is unmistakable; their existence cannot be denied or explained-away by weather. First, the trails are NOT coming from the back of the jet engines. Second, the trails are not merely water trailing off the edges of the wings because as the plane passes, in addition to the wing trail emissions, there are clearly SPRAYS coming out of several sections at the rear of the wings in clear addition to any water that may be washing off the wing during landing. See for yourself. Video is on the next page.